Our mission is to make k-5 world language and culture programming available to all MT students; ensure all the languages available at MSU-Bozeman are available k-12 to students of Gallatin Valley; and to promote positive programming celebrating a multi-cultural Bozeman. To help us in meeting our goals, in 2019 WLI-MT is working hard to grow our organization and expand the number students we reach in Bozeman area communities. After-school World Language & Culture Exposure program - play and game based classes offering an introduction to language & culture. Fee-based model with scholarships available. Located typically on school sites, with school support but class payment by parents or PAC. Lessons are taught in target language 70-90% of time depending on coach skills and abilities. In-school World Language, Art & Culture program - through art and activity-based lessons our professional language educators foster an affinity for language and culture, and through vocabulary and phrases, establish a foundation for language learning. Content integrated lessons with language, culture and art as the focus. Language is heavily incorporated into the activities and lessons. In target language ~50% of lesson. 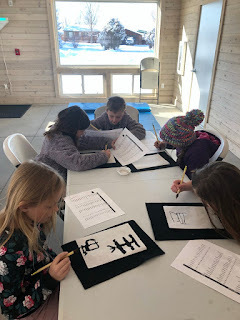 In-school day Block Language Class program - more formal and language-focused lessons, within the context of geography, art, STEM, and culture. Lessons taught in a dynamic, interactive and activity-based format. In the target language for 90-95% of teaching time. After-school Language Immersion - this is a project-in-the-works. Fee-based for students with a high level of interest in progressing in the target language. Classes to be offered each Monday of the month @ the Emerson Cultural Center from 4-5pm in partnership with Ecole Francaise. Classes use the immersion model, i.e. in target language 95-100% of lesson. For 2019, coaches are available for placement into schools throughout the Bozeman Area. If your school is interested in starting an in-school-day or after-school world language program, please contact us at worldlanguageinitiativemt@gmail.com. After-school World Language & Culture Exposure classes (grades k-5): $216 for 18 weeks of 1 hour classes. Scholarships available. Block Language Classes (in school day): Fees are negotiable depending on the location of the school and the number of consecutive hours taught. For planning purposes teaching rates range between $35 and $40 per hour taught. After-school Language Immersion (grades 1-12): Families will be able to buy a set of classes or monthly unlimited to participate. Class sizes will be limited to 10 students on a first to sign up basis. Cost per class is TBD, but likely ~$16 per class.